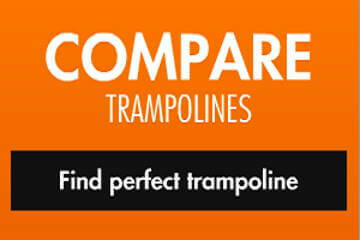 OZ trampoline is well known trampoline manufacturer operating mostly in Australia. 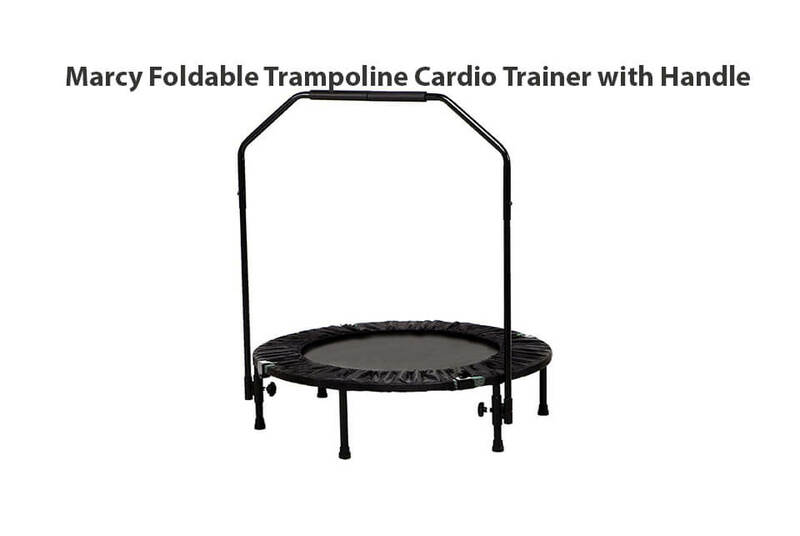 Their product provides excellent price/quality ratio and is considered one of the “best buy” trampolines available on the market. 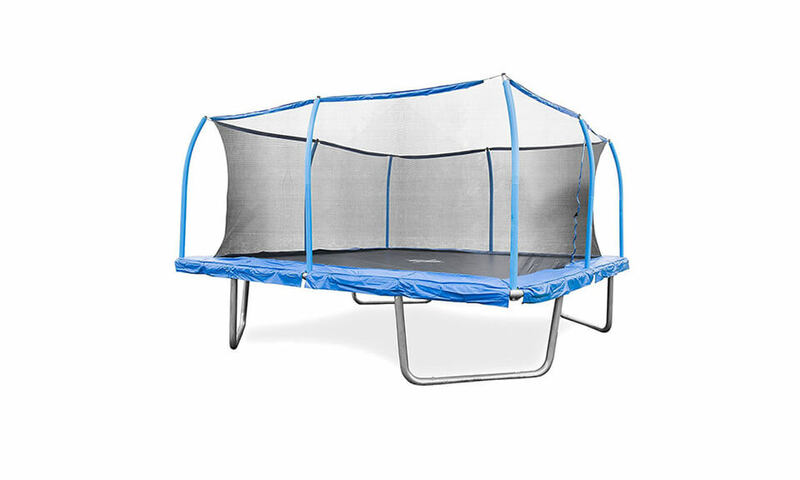 trampoline quality but also great customer service. 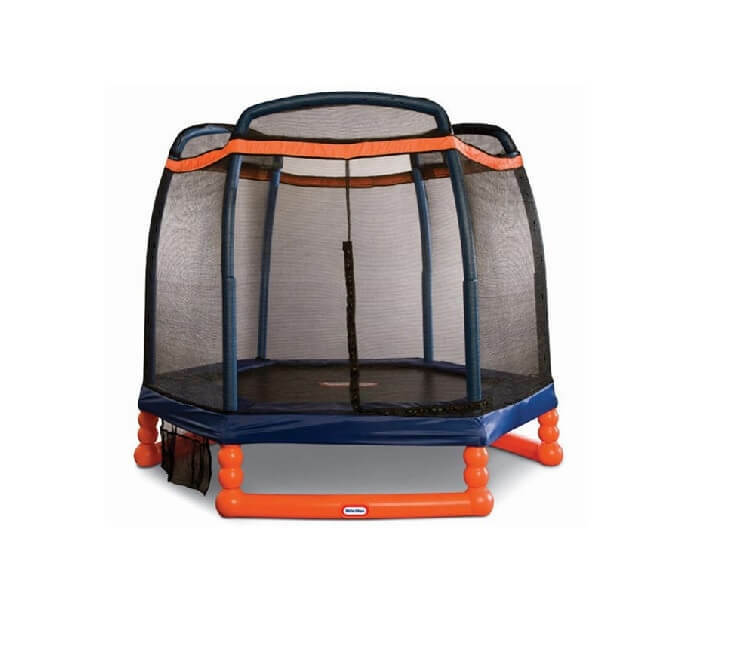 All OZ trampolines are available in several colors (this one in pink or blue) and most of them come together with trampoline enclosure. 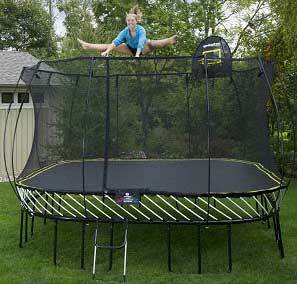 Trampoline can be assembled by one person under an hour. 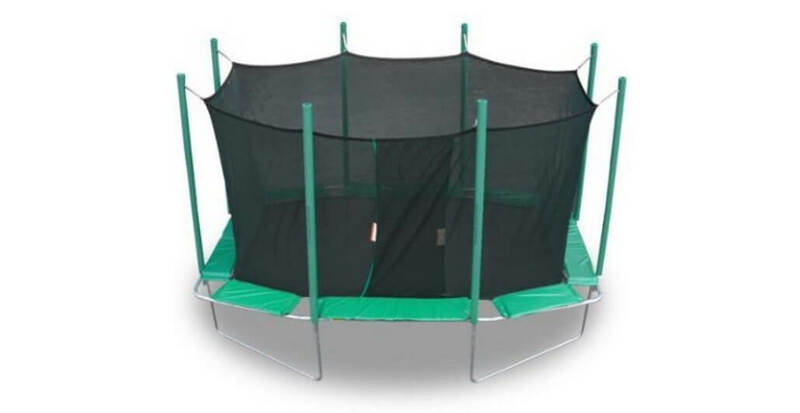 Trampoline frame – 8-foot (245cm) in diameter, double galvanized, 1.5mm thick frame, jointed together with screws along trampoline legs which ensures to keep trampoline in place. 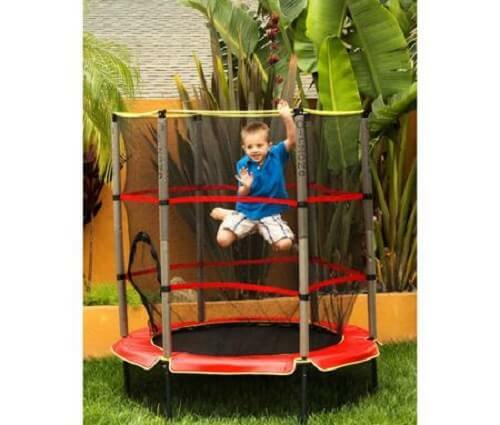 Trampoline frame is 68cm high and it is great for smaller children to get inside without the use of ladder. 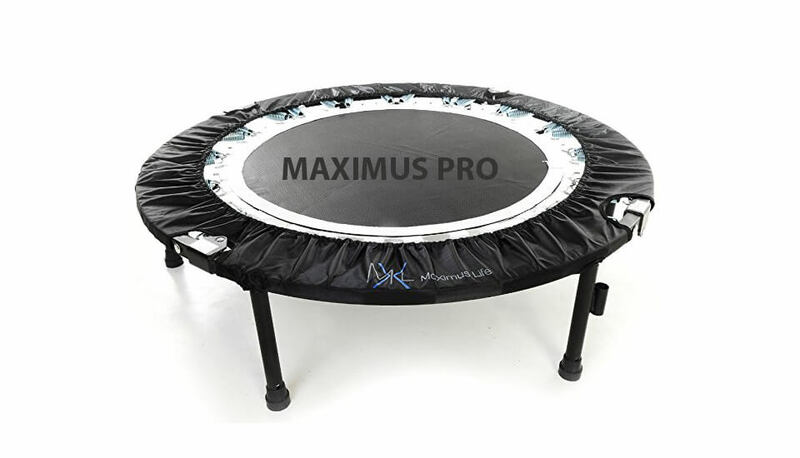 Trampoline mat – Overall mat size of 215cm in diameter, great for smaller children but too small to be used by older jumpers. Weight capacity of this mat is 140 kg which is more than enough to be used during several years of heavy usage without fear that mat will be teared. UV protected. 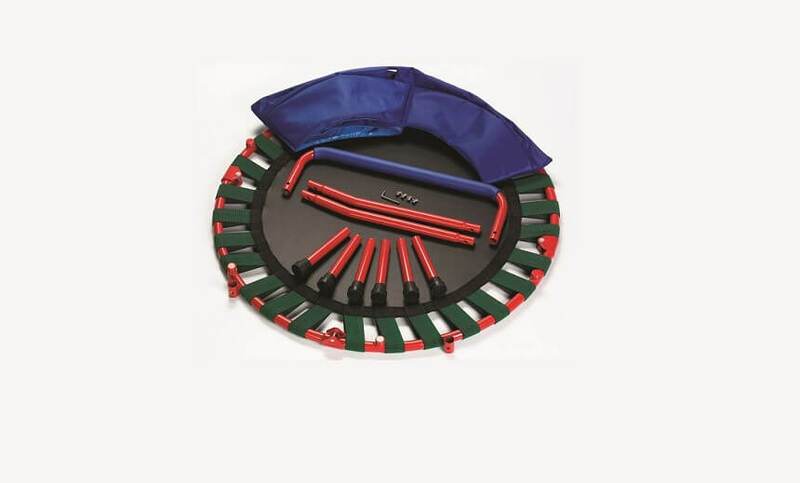 Trampoline springs – Trampoline comes with 48 pieces of 3.2mm high strength springs (135mm in length) and together with mat provides pretty decent bounce. 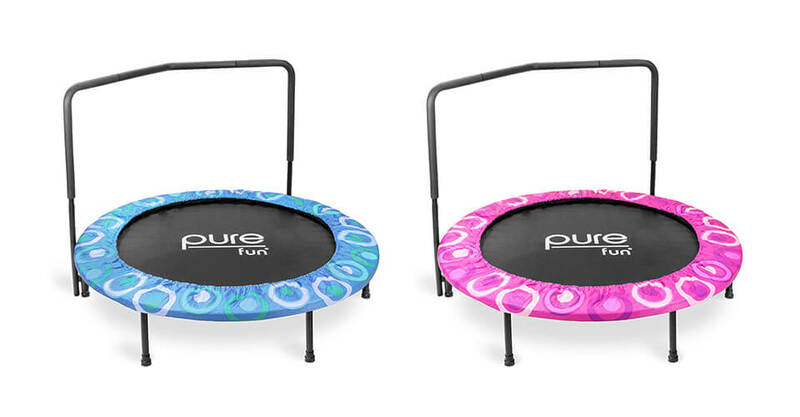 Trampoline pads – Pads come with 1 year (2 years optional) warranty and are made from PVC material which will insure that pads stay thick even after years of usage. Pads are also water & UV resistant. 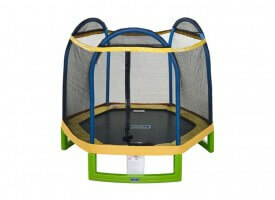 Trampoline enclosure – Enclosure is 6 poles, knitted UV resistant three layer PVC netting with blue or pink PVC sleeves. 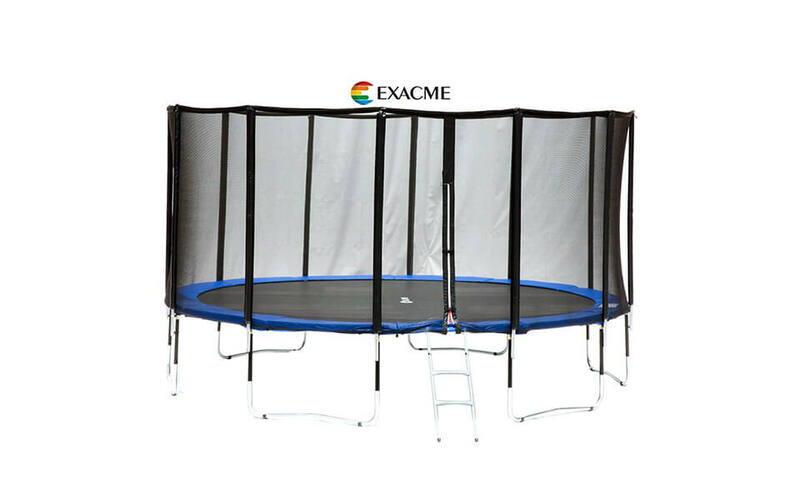 Additional extras are also available to be purchased with this trampoline – ladder, tents, weather covers and anchor kits. 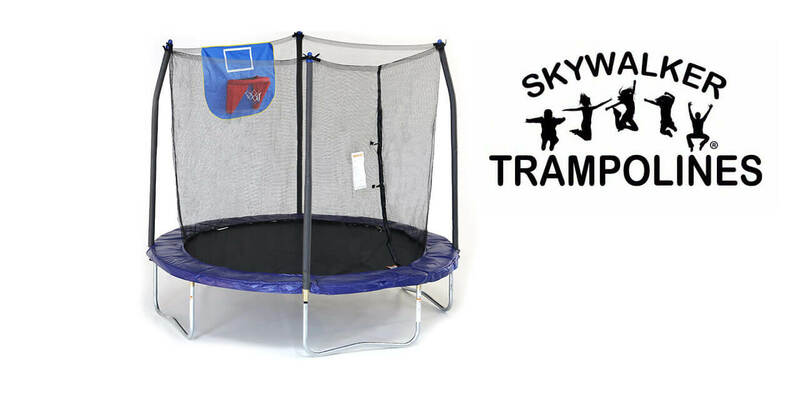 Alongside with one the best service around this trampoline is highly recommended for usage by smaller children and youngsters. 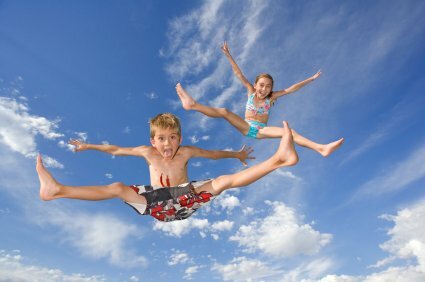 Great and very safe trampoline. Perfect for children. Too bad it is for Australian market only!